Just how retro is the 2015 Yamaha SR400? For one thing, you can only kickstart the bike! That’s right, no electric start on this beast and Yamaha designed it this way to honor “classic” bikes. The SR400 weighs 384 pounds, consists of a low seat and skinny frame, and utilizes a very traditional, air-cooled, two-valve, SOHC single. 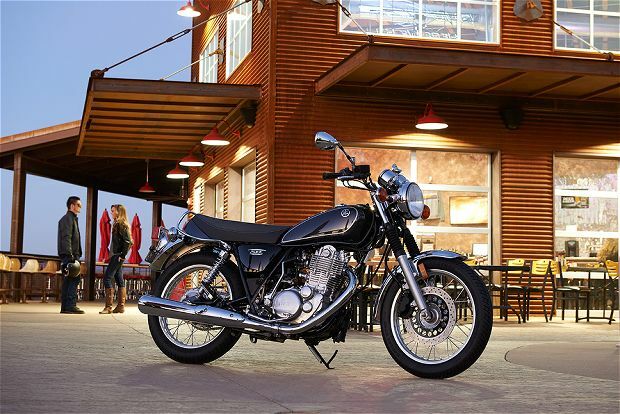 Yamaha believes in the power of simplicity combined with an old school feel and has priced the SR400 at an affordable $5,990. I’m on board for an inexpensive, lightweight motorcycle that pays tribute to the design and functionality of bikes from the past.